Are you an employer? Employee? Are you confused about the employment related claims that can be brought to the WRC? If an employee wants to bring an employment related complaint or claim to the Workplace Relations Commission (WRC), he/she must fill out a standard form available on their website. There are 15 options for complaint on their complaint form (although the complaint form says there are 16). 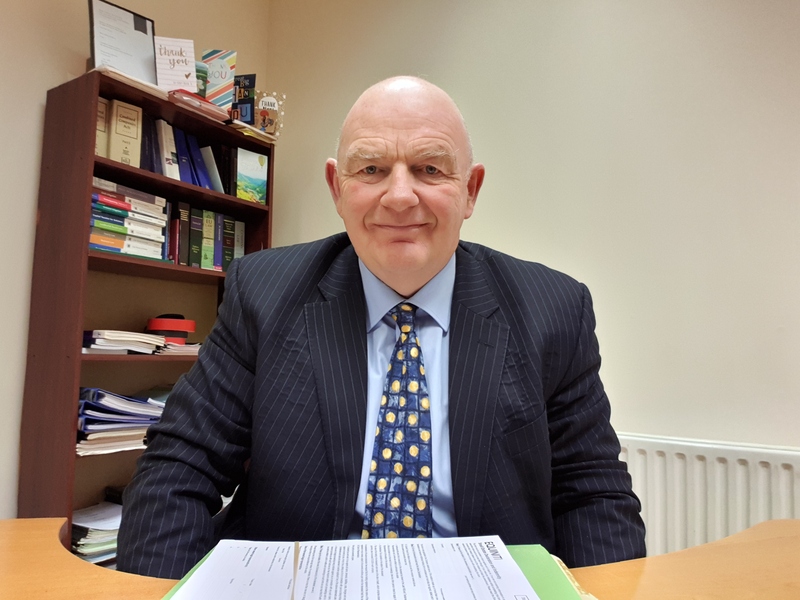 Since the commencement of the new Workplace Relations Commission (WRC) service in October, 2015 I have been surprised at the inconsistency I have experienced in relation to how the hearing is conducted. The Workplace Relations Commission Adjudicators have a certain amount of discretion as to how the hearing is conducted, but I have been slightly taken aback by the different approaches of individual adjudicators. My understanding was that WRC hearings could be described as informal, in comparison with the procedures in the Civil Courts, and were inquisitorial, not adversarial, in nature. However, a WRC hearing I was involved in required the questioning of witnesses in accordance with the District Court rules for Direct Examination and Cross Examination. Quite frankly, the WRC adjudicator required the witnesses to be fully cross examined in relation to their entire version of events. Failing to do so would, in respect of any aspect of their “story”, see that aspect of the story or fact accepted, notwithstanding a different version of events from a different witness. This being the case, it is a good opportunity to refresh my knowledge and understanding of direct examination/examination in chief and cross examination. It should be helpful to you too if you are running your own case at the Workplace Relations Commission, or Labour Court, without the benefit of a lawyer. Direct examination is your questioning of your own witness(es). A fundamental rule of direct examination is that you cannot ask a leading question of your witness about a matter or fact that is in dispute. However, if a fact is not in dispute, a leading question can be asked eg the name, address, and occupation of the witness, or a statement, and confirmation, that the witness worked for the respondent as a retail assistant, for example. The way you need to ask questions to avoid falling foul of the rule about asking leading questions is to use words like what, why, who, how, when, where, please explain, what happened, and what happened then, and so on. So, in the example above you would ask the witness “what happened at work on Monday?”, or “please tell us about your day in work on Monday, 25th April”. Use simple, clear language and ask your questions in logical, chronological order. Also, control your witness and prevent him/her from wandering all over the place, and avoid repetition of questions to emphasize facts which are already established. Your approach in cross examination will be completely different. You are allowed, and are well advised, to ask leading questions. Unlike the answers you are seeking in direct examination, which may be explanatory or narratives, the answers to your questions in cross examination should be “yes”, “no”, “I don’t know”. 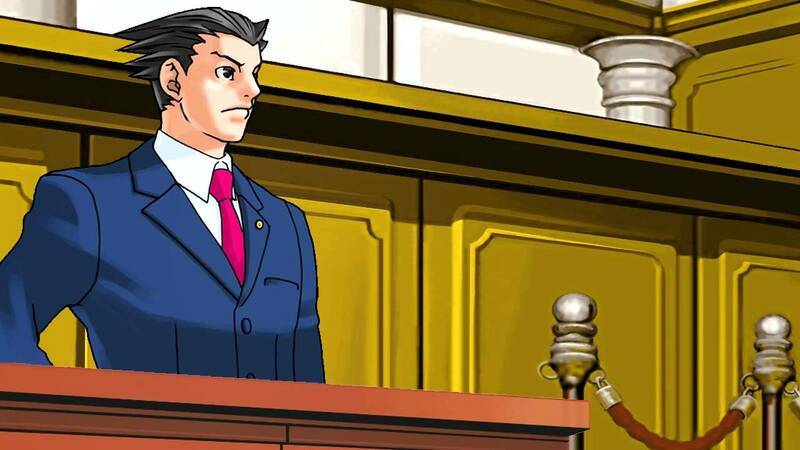 Cross examination can be like a series of statements by you as questioner, and you want short yes/no answers, no explanations or justifications. If your cross examination is subtle, and there is a danger of the decision maker not understanding it, don’t try to explain it during cross examination; explain it later in summing up; this will allow you exploit the curiosity of the decision maker, who will be wondering about the question you apparently left hanging but who now, prior to considering his decision, has heard your explanation in your summation. One important point to remember: if a witness gives evidence in cross examination that contradicts evidence that you, as claimant/respondent, or one of your witnesses will give in evidence, you must put the evidence you or your witness intend to give to the witness in order to allow him/her the opportunity to rebut it. If you don’t do this then that witness’s version of events will be accepted. The ten rules above are sound principles in any cross-examination, not just in an employment related dispute. Also, be mindful of the tone you use in your cross examination. Rarely accuse the witness of lying, instead say ‘perhaps you are mistaken’, and do not bully him. Nobody likes a bully. use witnesses own words to force agreement. Re-examination of your witness may also be an important part of your evidence. Re-examination allows you to deal with any issues raised in the cross-examination of your witness. For example, your witness may have been accused of some inconsistency or discrepancy in his/her evidence which might be amenable to a perfectly innocent explanation. Re-examination allows you to do this and allows you to clarify any evidence your witness has given but which may have been misunderstood by the Adjudicator. In short re-examination allows the witness to explain and clarify any testimony which may have been challenged or obscured in cross-examination. It may also be used to restore the credibility of a witness whose credibility has been challenged in cross-examination. It is arguable that if you present your witnesses testimony clearly and fully in examination in chief there should be no need to re-examine. Re-examination is useful, however, to clarify any discrepancies or inconsistencies which have emerged between examination in chief and cross-examination. However, the examiner needs to be sure that asking the question to clarify will give the desired result and not make matters worse or put an unwanted focus on a discrepancy. For the reasons set out above any re-examination should be brief. But the most important rule of all? Prepare well, and know your case inside out. Have you succeeded in your claim at the Workplace Relations Commission? If so, the employer has 56 days to carry out the decision. If he fails to do so you can apply to the District Court for a Court order forcing the employer to carry out the WRC decision. If your decision was for reinstatement or re-engagement the District Court can substitute its own order and award you up to 104 weeks’ pay. 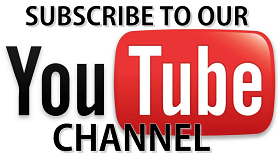 The District Court also has the power to award interest to be paid to you. It is an offence to fail to comply with the District Court order unless the employer can show, on the balance of probabilities, that it is simply unable to pay due to financial circumstances. If you are unhappy with the decision of the WRC Adjudicator you can appeal the decision to the Labour Court within 42 days. Labour Court hearings are in public, unlike the WRC hearing which is private. Part 4 of the Workplace Relations Act, 2015 deals with complaints and disputes. There are different routes for you to take, depending on which act your claim was under. Here’s a handy chart produced by the WRC showing you where to go. 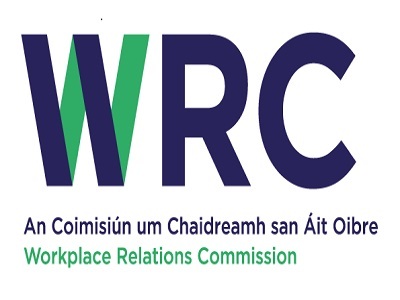 The Workplace Relations Commission (WRC) is the new body which, from 1st October 2015, will hear all cases concerning complaints about breaches of employment and equality law in the workplace. To make a complaint you need to fill out the Workplace Relations Complaint form which you can access here. Fill out the Workplace Relations Complaint form accurately, and submit it online. Be careful, though, that the complaint has been received by the WRC. You should receive an acknowledgement of receipt immediately; if you don’t, follow up with the WRC. Most complaints or disputes must be notified within 6 months (different time limits apply to complaints under the Redundancy Payment Acts and Equality Acts) of the alleged breach of your right; 12 months will be allowed in exceptional circumstances and you must show reasonable cause for the delay to an adjudication officer. All material, documents, correspondence will be copied to the other party so that both parties will have all relevant documents relating to the complaint. If a complaint is frivolous or vexatious an adjudication officer has the power to dismiss it. (Section 42 Workplace Relations Act, 2015). In certain cases, unless one or both parties object, mediation may be used to try to resolve the issue. Mediation is voluntary, confidential, and without prejudice. In Employment Equality and constructive dismissal complaints a statement must be submitted by the complainant, who has the burden of proof in these two categories of cases. In this type of case you must give as much detail on the form itself as possible. You must set out the fact, link the facts to the alleged discrimination, and provide any other relevant information to support your case. The same requirement applies to constructive dismissal cases. You must set out the facts leading to your quitting the employment, whether you invoked the grievance procedure (you should), any investigation carried out, and any other relevant information. In other unfair dismissal cases the burden of proof is on the employer/respondent. He has to submit a statement setting out the facts leading to the dismissal including any disciplinary hearing held, investigation, appeal, and so forth. This must be submitted within 21 days of request from the WRC. A statement should be submitted by the respondent within 21 days of receiving the complaint form from the WRC setting out any legal points he wishes to make, for example there was no dismissal or the complainant was not an employee. Each party may be asked to give a list of witnesses he proposes to call, and the reason. If the complainant does not attend the hearing the Adjudication Officer can dismiss the complaint. If the respondent does not appear a decision may be made in his absence by the Adjudication Officer. All of these WRC hearings are private and members of the public are not permitted to attend. After the hearing a decision will be sent out by the Adjudication Officer within 28 days, or as soon as possible thereafter. 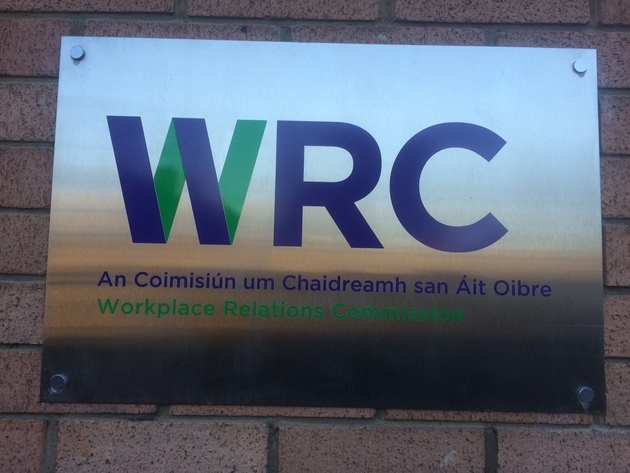 Importantly, the WRC hearing is held in private, with the names of the parties being anonymised for publication on the Workplace Relations website. You might also be interested in questioning at WRC hearings and 10 rules for cross examination. Either party may appeal to the Labour Court. If there is no appeal the decisions is legally binding and can be enforced through the District Court. Appeals to the Labour Court are public. Here’s a link to the WRC guide to Procedures in the Investigation and Adjudication of Employment and Equality Complaints.